Download for free – Zawro’s One Hot Method to be a Domain Expert in Software Integration. This is the only method you’ll ever need, and the fastest way to be a Domain Expert in Software Integration. Why Zawro’s One Hot Method to be a Domain Expert in Software Integration? This method was created for Agencies to use for when you are in a meeting with your Clients, you can call us as your in-house IT to find the scope of work needed for your Client. There is no tricks, no gimmicks, and no cost involved with this method. 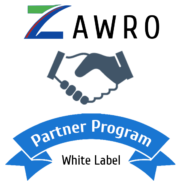 This is a free service provided by Zawro to look after our Partners, so that you can win more projects with better and superior service. Most of you that have meetings with Clients are not experts in IT. It’s considered a normal practice when your Clients want software integration work that you can call up your IT personnel (us at Zawro), and we’ll get the Scope of Work required. If you really want to learn the entire process of getting the Scope of Work, you can start off with this method first, then Zawro will train you free of charge. Get started now, and download your free one hot method to be a Domain Expert in Software Integration.